This week’s heist sheds renewed light on a spate of high-profile gun losses by federal authorities in the area, some of which have ended in tragedy. Lawsuits have been filed by the parents of Kathryn Steinle, killed as she was walking along San Francisco’s iconic Pier 14 with a gun stolen from the car of a Bureau of Land Management ranger; and muralist Antonio Ramos, killed with a Glock left in an unattended vehicle by an Immigration and Customs Enforcement agent. The ATF has had its own problems with guns stolen from cars. A troubled undercover storefront operation in Milwaukee in 2012 saw three ATF-issued firearms swiped from a government-owned SUV, including an M-4 .223 caliber rifle, parked in front of the shop. 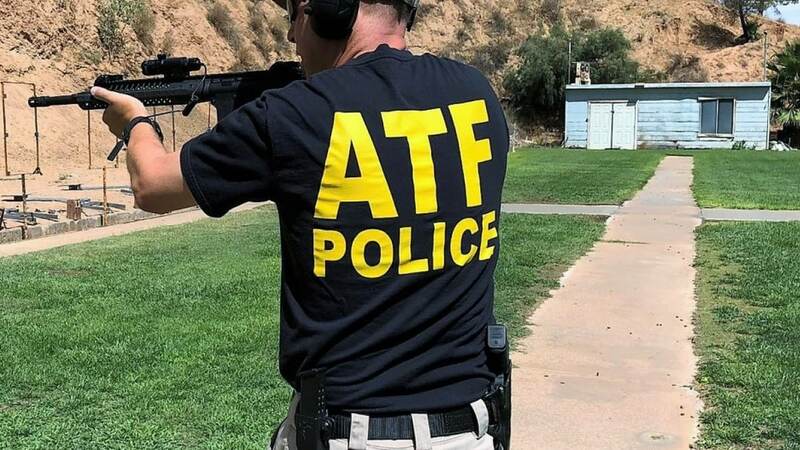 A subsequent burglary of the shop incurred losses of $39,000 in property including an ATF tactical ballistic shield, which was later found in an alley and recovered. Other federal agencies have had their share of missing guns as well. A 27-page report by the Department of Homeland Defense watchdog discloses that between 2014 and 2016, personnel of the nation’s largest law enforcement agency lost sensitive assets including 228 firearms, 1,889 badges, and 25 secure immigration stamps.